I was listening to Caleb Miller and he brought up an analogy of a good father. .. If you have a baby who has just learned to crawl and you are watching him crawl around on the floor. 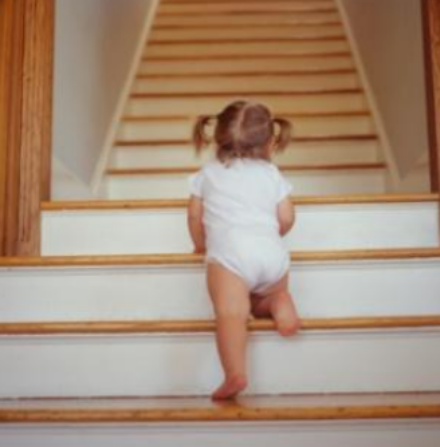 You see your child heading for the stairs …. Do you as a father wait for the child to fall down the stairs before stepping in or do you be proactive in the situation? A good parent steps in before there is an issue. Ask yourself, do you think you would have better parenting skills then God? He has made a way, he has already responded and rescued man before we knew there was a danger. He is not a monster waiting to punish those who don’t measure up. A good parent loves and takes care of the well behaving and the misbehaving child with the same level of love and affection. You don’t have to gain some mystical brownie points before he saves you from falling down the proverbial stairs. He loves, accepts, and has already provided for his kids.